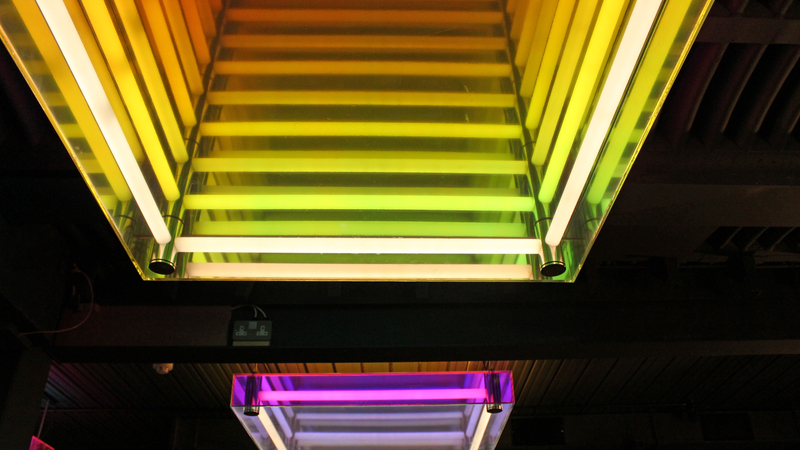 The Light Lab specialise in bespoke high end lighting in the hospitality/leisure industries. 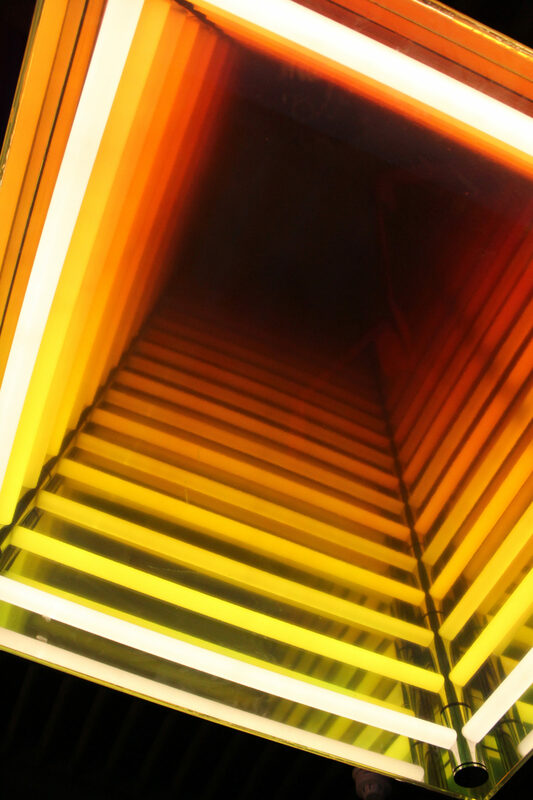 The team recently completed work on a bespoke ‘infinity’ effect lighting feature for the ceiling of the club area at Sophie’s Steakhouse in Soho; a luxury restaurant chain, who wanted something a little different for their establishment. 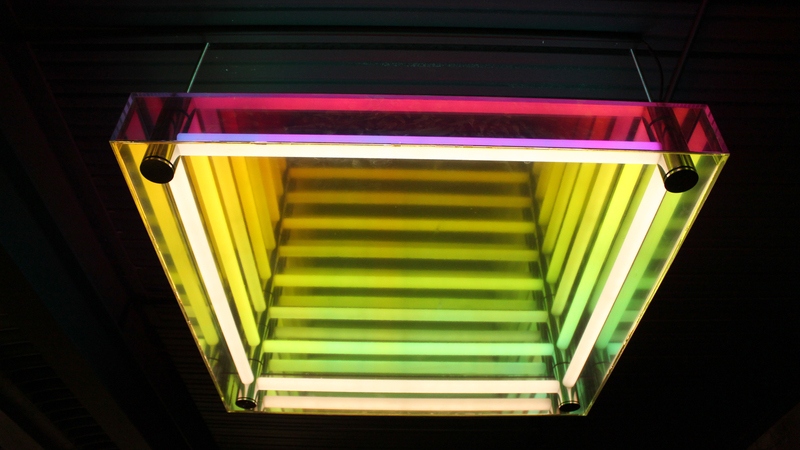 Our team realised the initial concept of Light Bureau – creating ceiling mounted acrylic boxes – each filmed with mirror and dichroic specialist finishes. 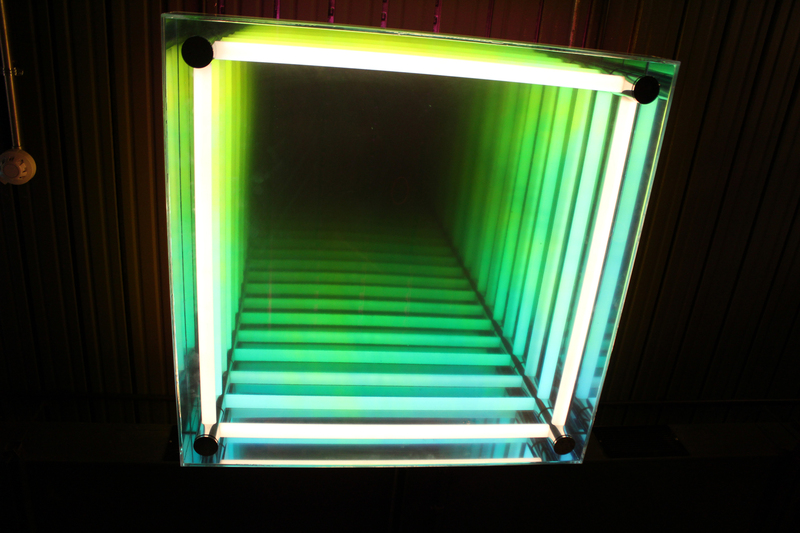 The main challenge was to create evenly illuminated tubes around all surfaces, as the reflectance of each tube meant they were visible 360 degrees. 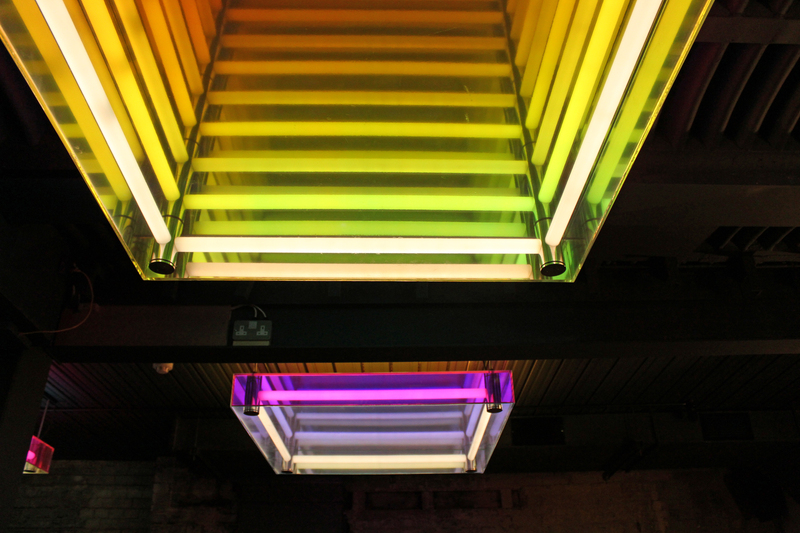 We faced this by using internally illuminated LED tubes within each box, which also replicated the ropes around a boxing ring – as the original use of the building in Soho was a boxing venue in the mid-20th Century. 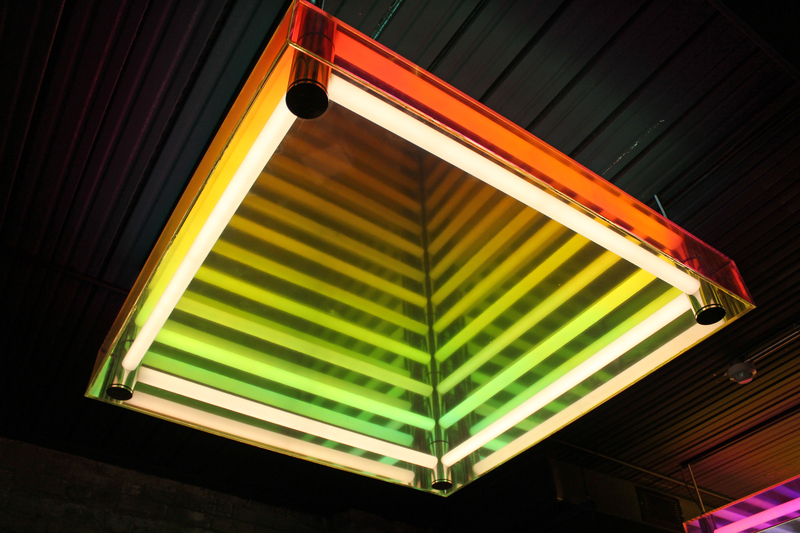 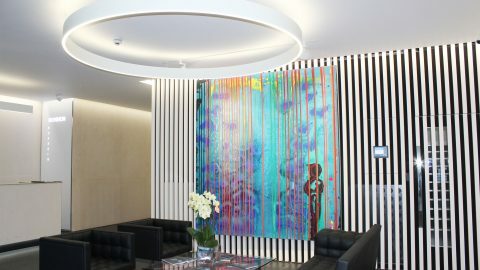 The finished installation provides a striking and unique feature to hang above the basement dancefloor.